When you run a business, the one thing that you don’t want to do is make mistakes that effect your clients. Even if you know that you’re capable of getting things right, it becomes more complicated when you have employees to watch over. No one may be intentionally doing things wrong, but small mistakes can add up and turn into larger problems. If you want to reduce the number of mistakes that your business makes, job scheduling software that helps you to keep your technicians on track can help. Jobi gives you all of the tools that you need to get the job done without mistakes. One of the biggest advantages of using contractor dispatching software for small businesses is that you can keep your employees engaged. You can keep them connected to your office and ensure they know what’s happening whenever they need to. Using the software for electrical contractors and more, they can keep in touch through their phones or other mobile devices. They’ll know what their next job is, and they can send through essential information like invoices in seconds. Not only does the right software help to engage your employees, but it empowers them too. They’re able to be more involved in their own schedule and contribute to the running of the business and improvement of processes. 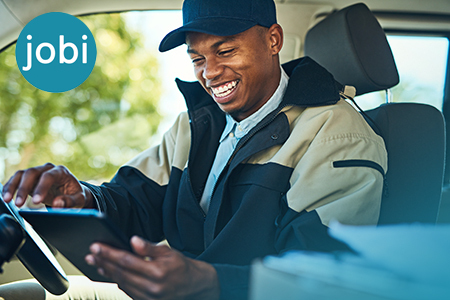 Jobi Pro job scheduling software gives small businesses the tools they need to handle job requests including flat rate pricing book, GPS tracking, paperless service agreements and paperless realtime invoicing. Being able to use features such as call tracking, service call scheduling and real-time service requests means that your business should find it much easier to keep everything organized. You can keep track of what jobs need to be carried out using an app for contractors, which technicians are available and what contact you have had with a customer in the past. This all creates better transparency and helps you to manage your time better. 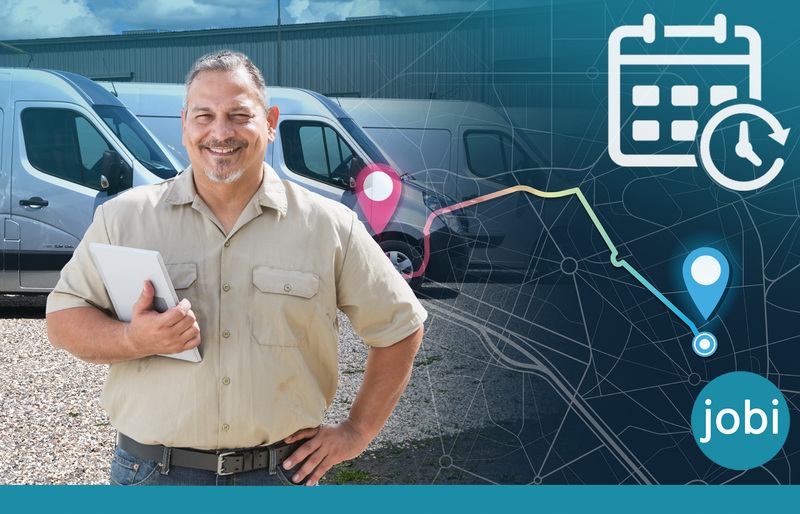 Another way to create greater transparency for your company is to track where your fleet is and how long it takes your technicians to complete a job using GPS fleet tracking. This is helpful for you and your employees. You can get a better understanding of how long it takes to complete a job and whether the most efficient choices are being made. For example, are your technicians taking the fastest route to get to their scheduled jobs? You can help to reduce mistakes and boost efficiency when you know where your fleet is and whether they’re meeting targets. App integration is an excellent feature provided by Jobi if you want to reduce mistakes for your company. Many mistakes can be made when transferring information from one platform to another, simply through human error and misreading or mistyping something. Integration of apps like Quickbooks means that data can be transferred directly and automatically, instead of having to use manual transfer. 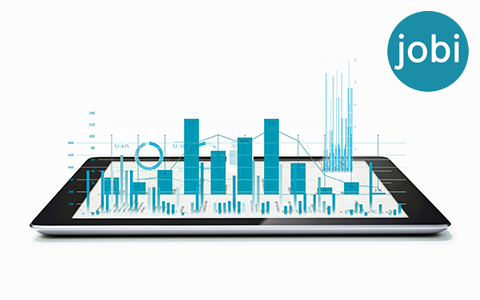 Jobi offers Quickbooks seamless integration so that you can import and export data from your accounting software without having to worry about making mistakes. You can save time too so that no one has to feel rushed, which can help to lower mistakes further. Relying on paper for various forms, invoices and other documents isn’t ideal. Paper can be lost or damaged, and it can simply take a long time to deal with. Why have your technicians carry around completed invoices all day, when they could send it to your office in seconds? Paperless invoicing removes the problems you can experience with paper documents and gives you the benefits of digital files instead. Quickly fill in an invoice that has already been formatted correctly, then send it to the relevant people for approval. Jobi also offers paperless service agreements for contractors to make every step of dealing with a customer easier. Making mistakes where prices are concerned is certainly not something you want to have to deal with. If a technician accidentally quotes a price that’s higher or lower than it should be, it could be bad for business in a number of ways. You can make everything much simpler by using Jobi’s flat rate pricing book or setting your own custom options for pricing too. When all necessary prices are right there in front of you, there’s no need for confusion or any mistakes. Plus offering service options is a great way to accomplish client retention and ultimately increase sales. Another benefit of using a paperless system is that you can ensure all of your documents such as invoices or service agreements are formatted just as you want them. Although you can give your technicians the option to create custom documents and forms, you can ensure that it’s all branded and formatted correctly. By creating pre-set options for pricing and service agreements, you can prevent mistakes when technicians are selecting options for customers. 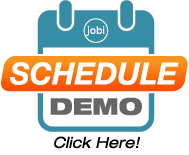 Having a record of the job history for each of your customers is another to avoid mistakes using Jobi. 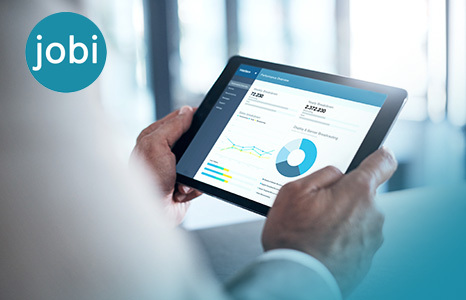 The service scheduling software allows both the business to track the history of a customer relationship and the customer to check their service history through their own free Jobi Homeowners App. This should help to reduce mistakes by allowing everyone to understand what work has previously been carried out for the customer, what contact you have had with them and what products or services they have planned for the future. Problems with payments can cause cash flow issues for your business. But with easy payments using cards, PayPal and more, you can avoid any mistakes or delays that might arise from payment problems. Our app for service technicians makes it simple to take payments on the spot so that there’s no need to wait for payment or to rely on customers having cash or checks to pay right away. It can reduce mistakes by letting you know if a payment has gone through straight away, rather than causing issues later when a problem suddenly comes up. Improve your business by using service dispatch software for contractors. Jobi is an electrical contractor app, a plumber contractor app, a HVAC contractor app and an app for everyone else who needs to watch over employees working remotely.